London is home to the Labatt Brewing Company which is now owned by Anheuser-Busch InBev, brewers of Budweiser. The local hockey palace / concert hall was originally called the John Labatt Centre but has recently been renamed to Budweiser Gardens. 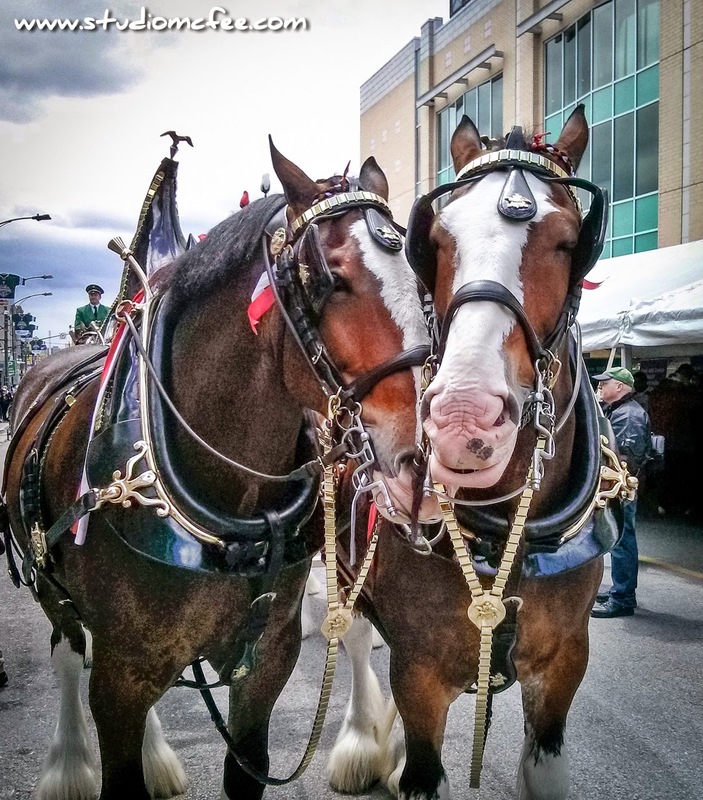 The Clydesdales pictured here are harnessed (with six other horses) to the Budweiser Beer Wagon complete with uniformed delivery personnel and the requisite Dalmatian. That must be one heavy load of beer to require eight Clydesdales to pull it. The JLC (excuse me, BG) is the building in the background.